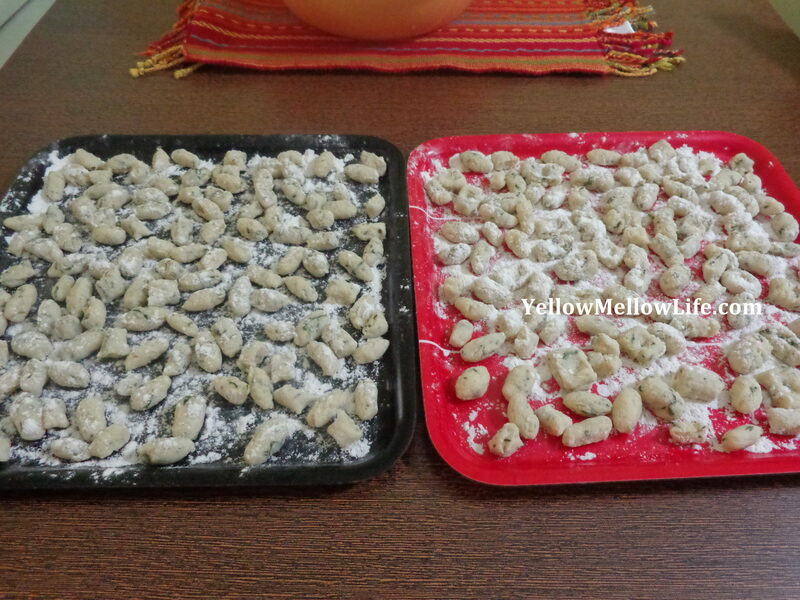 I love gnocchi because it is probably the only pasta that can be made at home, effortlessly. Especially if, just like me, you do not own a pasta machine. Being a mother to a toddler, I have come to appreciate gnocchi all the more. 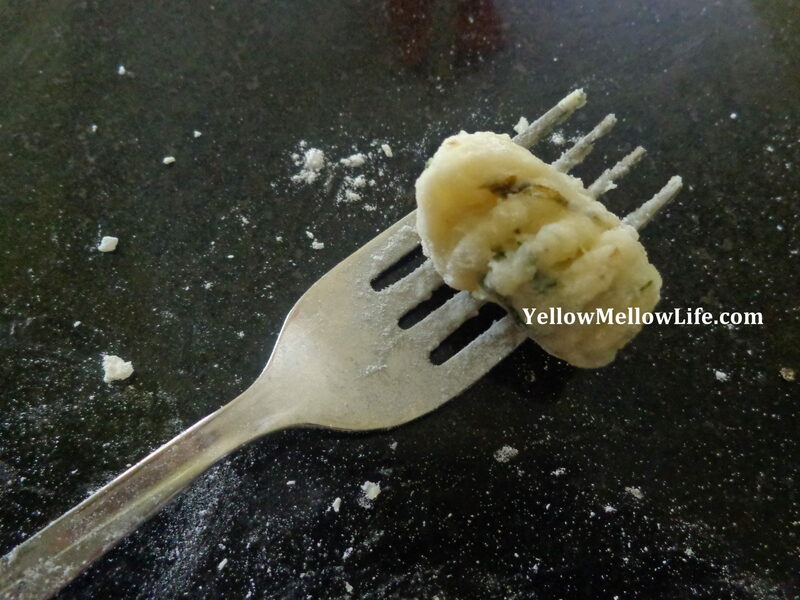 Gnocchi is often made out of potato (a favorite vegetable of all tantrum throwing toddlers), can be made with a few simple ingredients (which I am sure would be already available in your pantry) and doesn’t take much time. I remember the time when my daughter was still an infant. She loved nibbling on soft gnocchi. Even today she does – no sauces, just gnocchi with butter! Gnocchi with butter is a good combination for snack time for adults as well – just like popcorn. Fill up a bowl with it and it would have disappeared in no time. The recipe that I use is by Gennaro Contaldo, word by word. He calls it gnocchi de batata. The only addition from my side is that of coriander leaves. Coriander leaves are used for garnishing many Indian dishes, and that is where I got the idea from. Especially in combination with potatoes, coriander leaves taste divine. If you are not much fan of coriander leaves, I am sure that a touch of rosemary or thyme can also give you similar result. The first thing is to boil potatoes. It helps if your potatoes are roughly of the same size. That way they all take the same time to cook. Otherwise, potatoes can also be baked. The only thing to keep in mind is that we want the potatoes to get cooked, but not overcook. If you are boiling them, make sure you take them out well on time or else I have noticed water seeping into potatoes making them a little soggy. Boil or bake, what we are looking for is a cooked potato, whose skin you can peel easily with hand. And when you cut it in two pieces, it should feel fluffy. The method that Gennaro recommends (and which I use) is putting raw potatoes in a pot full of cold water. Then I let the water come to a boil. After that boil them for additional 20 minutes. If not, keep going for another 10 minutes. I use the toothpick check to check my potatoes. Insert the toothpick in the potatoes – if it goes in and comes out easily, they are done. Moving on. After the potatoes are boiled, peeled them at your own convenience. However, let them come at room temperature before you go to the next step. Now we need to mash the potaotes. You can crumble them using your hands. Many people use potato ricer, you can even use a fork. I use a grater. 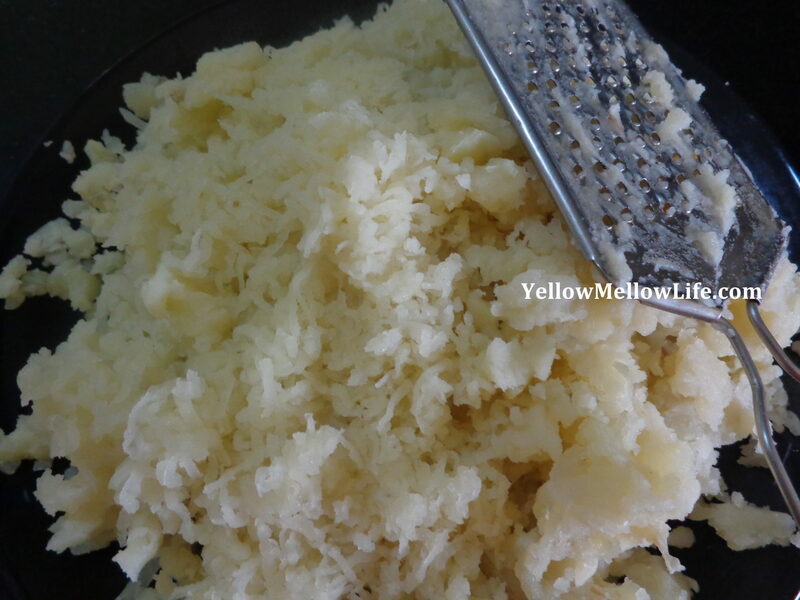 Make sure that the grated/ mashed potato remains flaky and retains its shape. Try not to handle it too much. 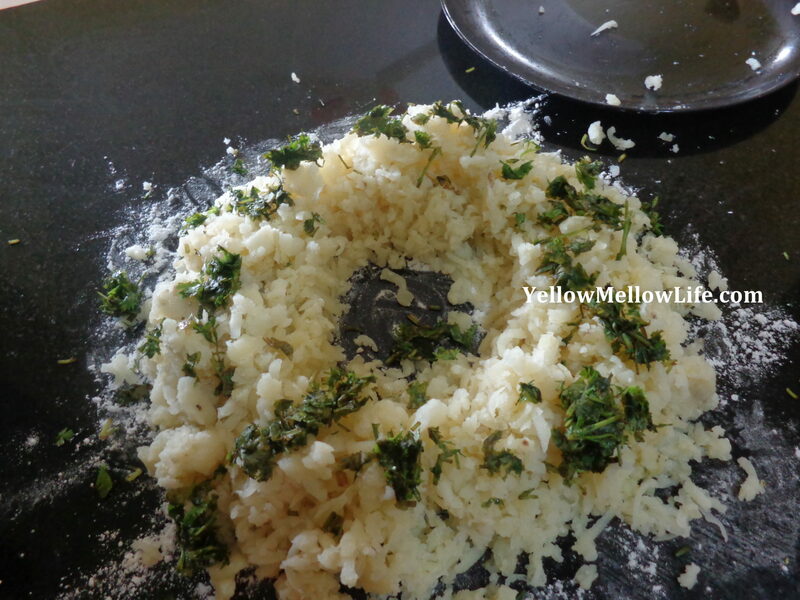 Now sprinkle a nice amount of rice flour on your work surface. Put your grated potatoes in the shape of a well. Add in chopped coriander leaves and salt and pepper to taste. Now dust the all purpose flour on your well. 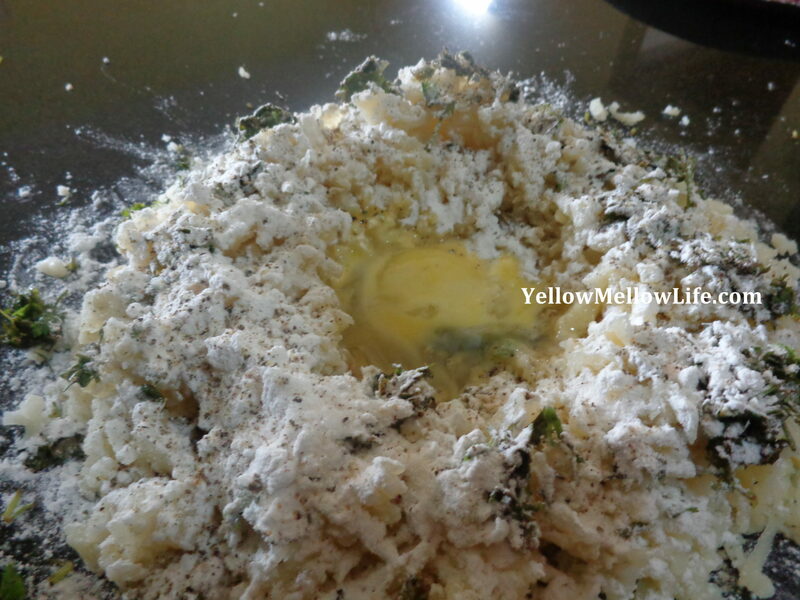 Inside the well, dump the 2 egg yolks. Now start kneading. Remember not to apply a lot of pressure to your dough. Instead work with light hands and just try to bring everything together. Feel free to add in a little more all purpose flour if you require. But just don’t go overboard with it. The secret of good gnocchi, according to me, is to have as much as possible of potato and as little as possible of flour. Lot of potato, perfect! Your gnocchi would be soft and light. 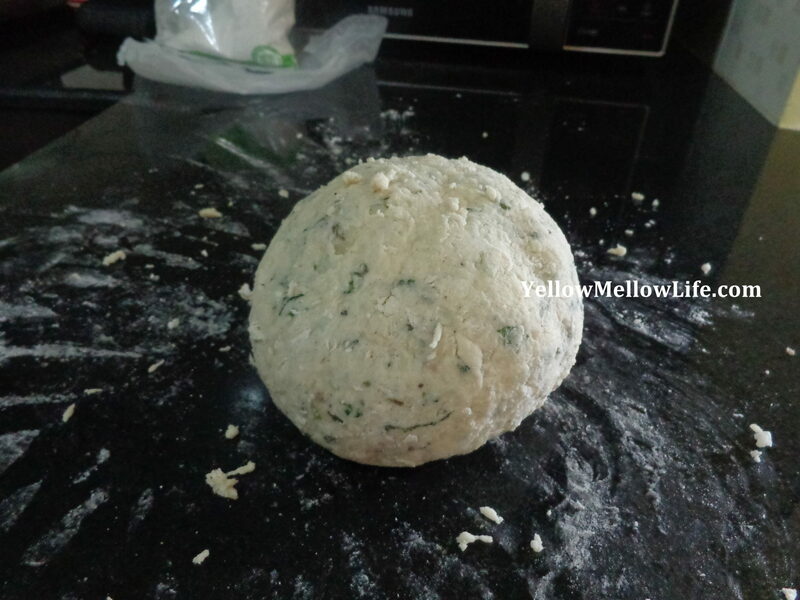 Lot of flour, not perfect…gnocchi would be thick and heavy. You’ll be left with nice ball of dough in no time. 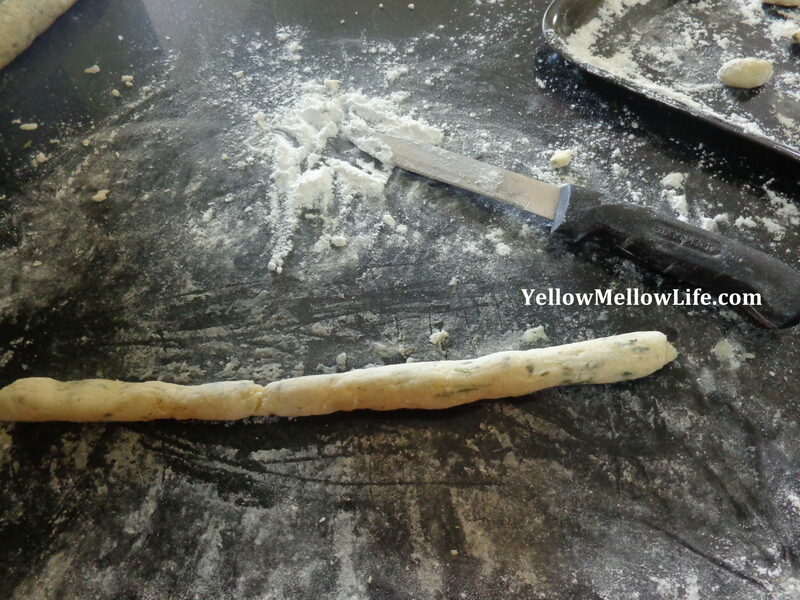 Now take a little portion out of the dough and roll it into a rope, with thickness that of a cigar. 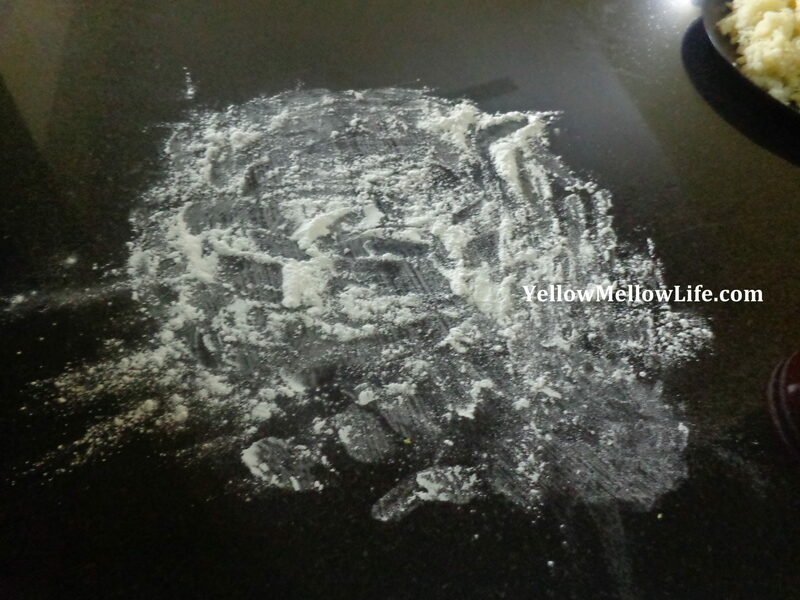 Dust the tip of a knife with flour and start cutting in pieces about 1 inch wide. You got your gnocchi. 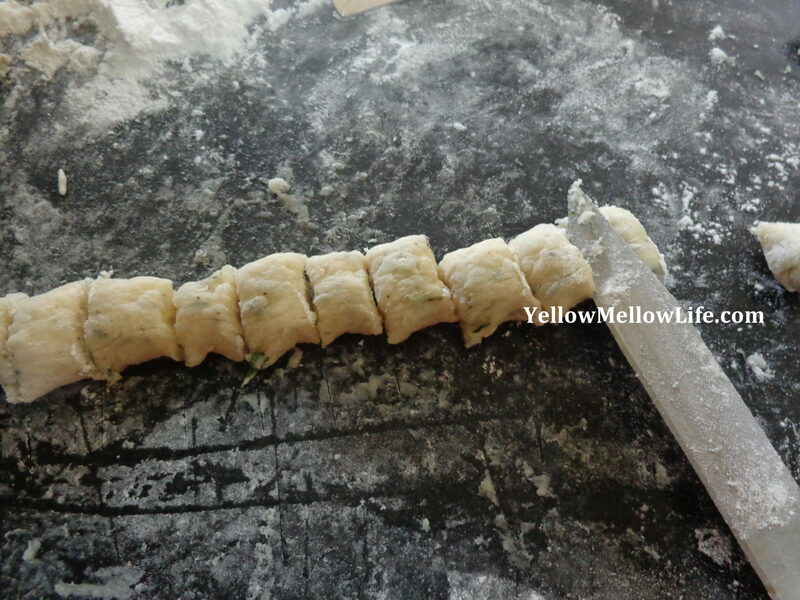 You can get more creative and give each of gnocchi pieces a nice shape. The classic being indentation by a fork. One other famous shape is the pillow shape. Just give a little dig in the middle of your gnocchi. You can make balls or ovals, possibilities are endless. My daughter enjoys playing with it like a play dough. For once I don’t ask her to stay away. In fact, I appreciate all the unique shapes that she comes up with for gnocchi. Keep placing them on a dusted surface. Now if you are making the gnocchi right at this moment, just bring a large pot of water to boil. Add in a little salt and your gnocchi to it. 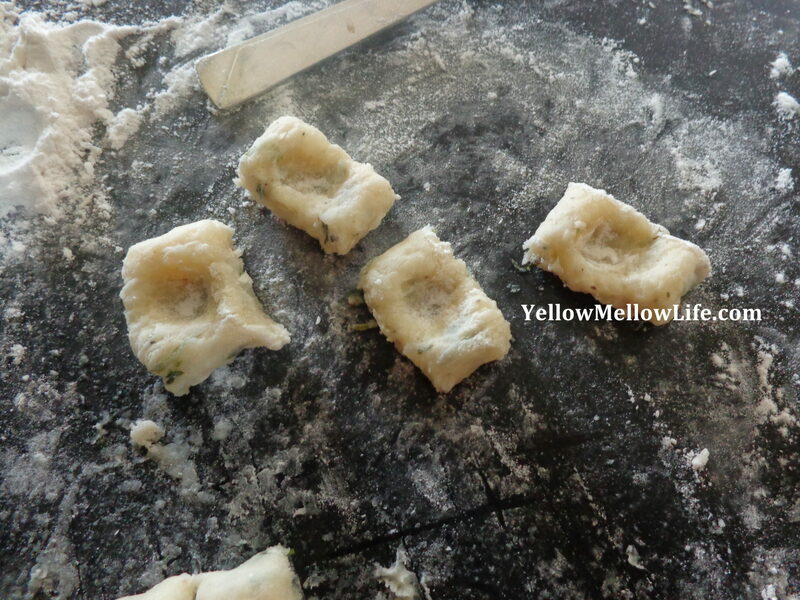 It is a good idea to tilt the pot side to side every once in a while to stop gnocchi from sticking. 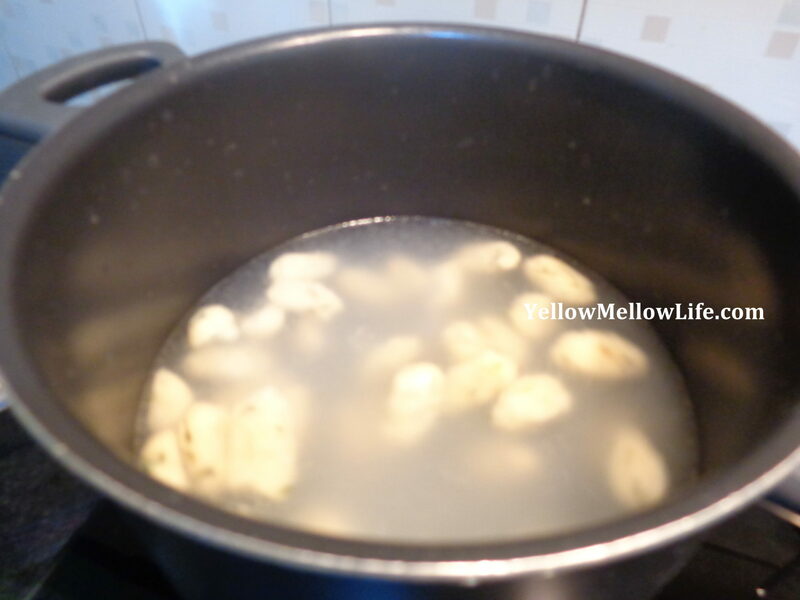 Let gnocchi simmer in water till it starts floating at the top of the water. At this point, take your gnocchi out using a ladle. Leave it to steam dry for another 2 minutes before using it. Eat it as is or saute it in some butter for snack time. Or mix in some nice pesto or marinara for dinner time. 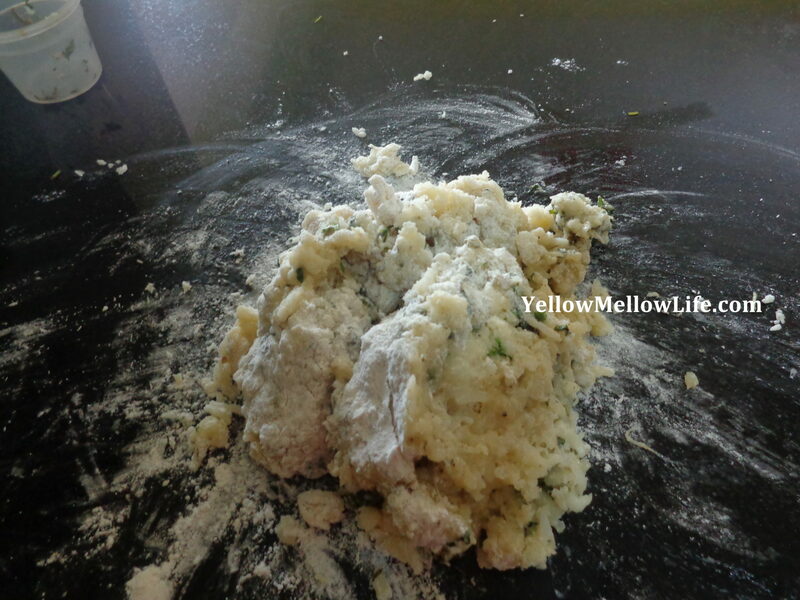 If you are intending to use your gnocchi later, dust your uncooked gnocchi with a generous amount of flour. Spread it on a plate and keep it in deep freezer till it becomes as hard as stones. After that, just store it in a zip lock and tuck it away in your deep freezer till next time.